The Walk now on sale this week only! – Zombies, Run! The Walk now on sale this week only! 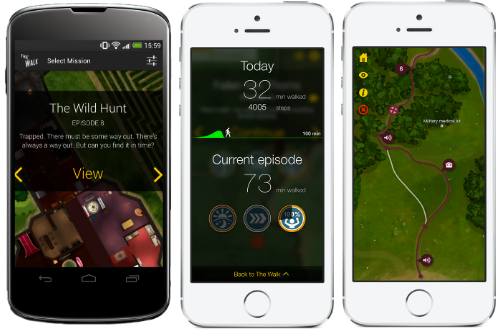 If you enjoy Zombies, Run!, you may be interested in another of our games, The Walk. It’s a great way to track and improve how much you walk day to day, and it’s got a full length story by Naomi Alderman, lead writer of Zombies, Run! It’s also 80% off for the next week only, so you can now get your hands on it for just $0.99 USD! The story of The Walk is told in a similar format as Zombies, Run!, however there are some important differences. Check out this blog post for a full run-down of what those differences are. The Zombies, Run! hiatus ends next week, so you can look forward to a new batch of Season 3 missions releasing on Wednesday June 18. In the meantime, happy walking!